The mangrove forest of Lac is approximately 850 years. 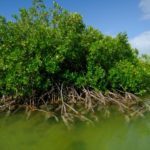 You will find three different species of mangroves in Lac Bay: Red mangrove (Rhizophora mangle), Black Mangrove (Avicennia germinans), and White Mangrove (Laguncularia racemes). 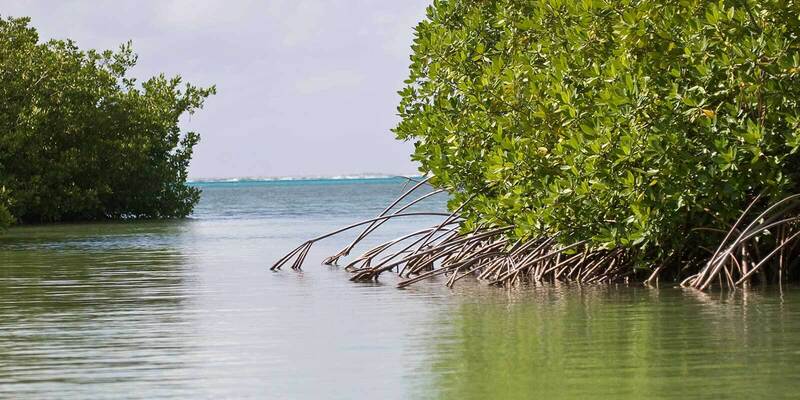 Do you know which mangrove is shown on the image?